Ready for Immediate Move-In! 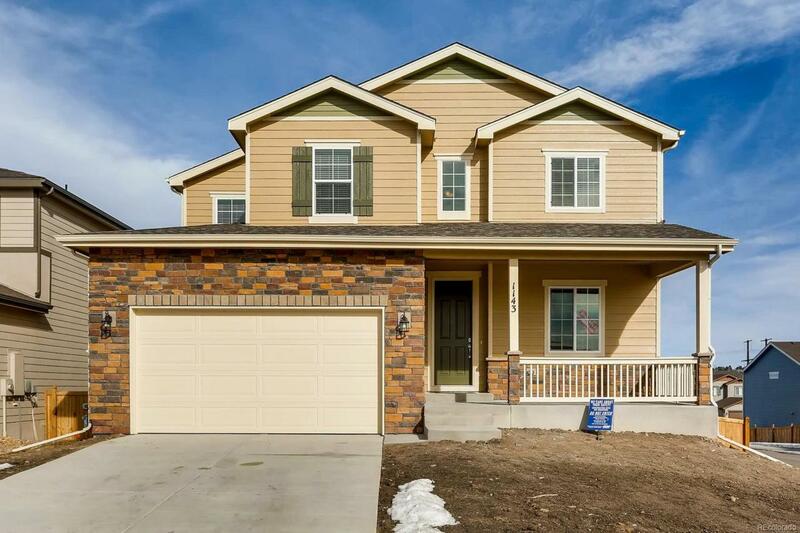 This spectacular two story home sits on a corner homesite and boasts a full walkout basement, spacious kitchen and gathering room and rear covered deck. The kitchen features grey painted cabinets with an extended island, granite countertops, stainless steel appliances including a gas cooktop and huge walk-in pantry. Main floor guest bedroom with full bath and convenient office. Upstairs you'll find a spacious Owners Suite with double vanities, walk-in shower and large closet. 3 additional bedrooms plus a loft and upstairs laundry room. Additional features include craftsman open railing to the second floor, gas fireplace in the gathering room, extensive laminate wood floors on the main level, solar conduit from the basement to attic, 220 volt circuit in the garage for a car charger, dual air conditioning units and furnaces, 2-tone interior paint, home theater pre-wire in the gathering room and professional front yard landscaping.